ÅAC Clyde has won a follow-on order with Canadian company, Kepler Communications, for a 6U Machine-to-Machine (M2M) communications mission. Please note that there are updates that moderately change the delivery dates. This new platform, TARS, will be the third built by the company for Kepler's growing constellation, offering SATCOM services for Internet of Things (IoT) and data backhaul applications. Following the success of Kepler’s first mission (KIPP), TARS, a smallsat built in Glasgow, Scotland, will demonstrate Kepler Communications’ next generation payload on orbit. The mission is part of the UK’s Satellite Applications Catapult In-Orbit Demonstration Mission 5. TARS will determine the capacity and performance required to deliver narrowband services globally, while augmenting the high-capacity store-and-forward capabilities provided by their first and second satellites, KIPP and CASE. According to the company, there is a need for seamless global IoT connectivity, currently not met due to global variations in frequency bands, network technology, and connectivity in rural and remote areas. Satellites are the only viable solution to address this need, and TARS will demonstrate worldwide connectivity from a globally available satellite solution. This mission will demonstrate cross-border IoT connectivity similar to that of our current mobile connections in terms of high data-volumes and bi-directional links at a low-cost. The global IoT applications realized from this could be anything from remote monitoring and controlling of assets such as railcars or containers to smart-farming. The Kepler constellation will directly address this barrier to innovation and potentially unlock a service capability for Kepler estimated at around £71 million ($94 million) by 2022. This is the final prototype prior to their forthcoming GEN1 constellation which will incorporate 10 more satellites, set to roll-out in 2020, followed by GEN2 in 2021 with additional 50 satellites and GEN3 in 2022 to complete the 140 satellite constellation. The first spacecraft, KIPP, was successfully launched into LEO in January 2018 from the Jiuquan Satellite Launch Centre (JSLC) in North-western China and is performing well on orbit. In particular, the mission has proven the operation of ÅAC Clyde’s precision, 3-axis control system and their On-Board Computer (OBC), which is a highly resilient system designed specifically for Low Earth Orbit operation and has already demonstrated impressive operational uptime. The companies are currently building the second 3U bus, CASE, scheduled to be launched later this year which add to the store-and-forward capabilities. 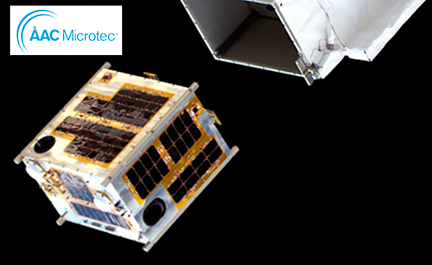 These pilot satellites carry Kepler’s novel Software Defined Radio (SDR) and antenna array making the company the first commercial company to launch and operate a Low-Earth Orbiting communications satellite in Ku-band. TARS will expand on this success by carrying a full suite of upgraded communications and processing units developed by Kepler. ÅAC Clyde continues to invest in the development of their platform avionics technology and volume production processes as they prepare to deliver small satellite constellation missions. Delivering Satellite as a Service, ÅAC Clyde combines best-in-class manufacturing capabilities, novel operational structures and cutting-edge technology to offer customers unrivaled access to space — this will be the third built by the company for Kepler's growing constellation, offering SATCOM services for Internet of Things (IoT) and data backhaul applications. Following on from the success of Kepler’s first mission (KIPP), TARS, a cutting-edge nanosatellite to be built in the heart of Glasgow, will demonstrate Kepler Communications’ next generation payload on orbit. The mission is part of the UK’s Satellite Applications Catapult In-Orbit Demonstration Mission 5. TARS will determine the capacity and performance required to deliver narrowband services globally, while augmenting the high-capacity store-and-forward capabilities provided by their first and second satellites, KIPP and CASE. Alfonso Barreiro, CEO, said that Kepler Communications is an important and valuable customer of ÅAC Clyde. Their follow-on order demonstrates a high level of trust in ÅAC Clyde to deliver further reliable mission solutions in the final stage of their business case. They look forward to working with them again on this mission and wish them the best of success for the GEN1 constellation. Plus, this mission demonstrates the firm's ability to develop, integrate and deliver a bespoke 6U satellite at a very competitive price. Bulk orders would see this cost reduced even further. Jared Bottoms, Lead Systems Engineer at Kepler Communications, noted that the company has developed a great relationship with ÅAC Clyde through the developments of KIPP and CASE and will continue to work together on what is to be the most technologically complex and capable spacecraft, thus far. The companies' engineering teams are nicely synced together enabling them to really push the boundaries with this next spacecraft. Craig Clark MBE, Founder and CSO, added that last year, Kepler’s first spacecraft was developed, from concept to launch in 12 months, incorporating a number of the company's innovations, including a next generation FPGA based On-Board Computer and a high precision, 3-axis, attitude determination and control system. They say, ‘the proof is in the pudding’ and the success of KIPP speaks for itself. Kepler has a great team and a solid business opportunity and he is very grateful and delighted to be continuing the company's relationship with them as — all now look forward to the launch of their second spacecraft, CASE, later this year and now TARS to follow on next year.